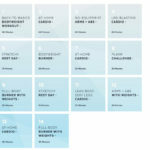 What can you do in January, February and March to stay active as a family? 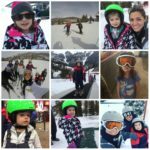 Well, I’m hear to let you know how our fit family stays active in the winter activities and maybe even share a few products with you! Just because it’s chilly doesn’t mean we fully retreat indoors. BOB is still the stroller that helps all of us head out together. The Revolution Pro is my go-to and to make winter time bearable for the littles, don’t forget to get the weather shields. They are a life saver! E is really big into “racing” me lately so we head to the Y and race around the elevated track. I would love to tell you I beat him every time but turns out the little bugger is fast. So we actually can race. He loves tracking his winning steps on the Garmin Vivofit jr. We’ve had these since early December and he’s still LOVING it. You can see a full review here. Yes, I said pool time. 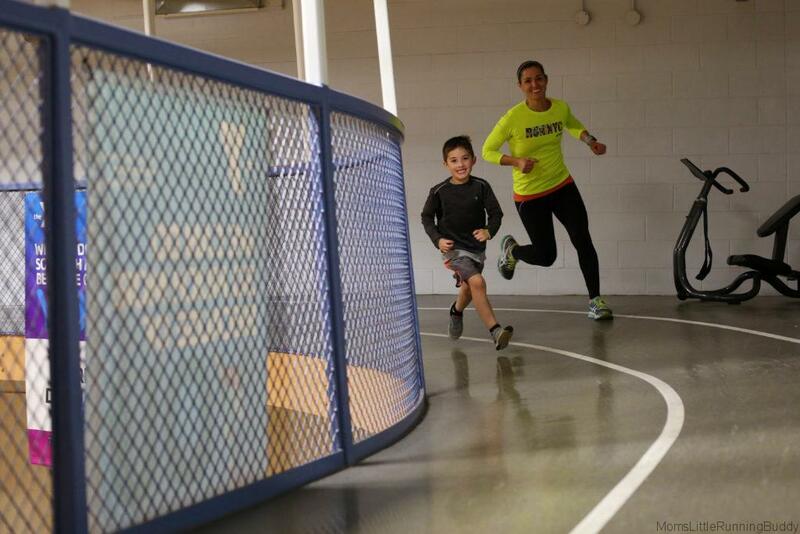 The Y is a great place for families. Ours has an indoor pool that we are CONSTANTLY taking advantage of. The kids love the water and I love watching them get more comfortable swimming. 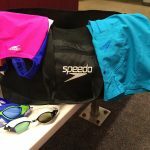 Speedo has everything they need to have fun and learn in the pool. With all the Ironman training I’ve been doing. I’ve set up a pretty good deal with them, they go to the Y kids club while I swim and when I’m done, I grab them and we swim together. Hey, you’ve gotta do what you gotta do! Here’s a tip…you don’t always have to be a member to use the amenities. Ask your local club if you can pay a per use fee. From Pool to Snow, when winter hits, the kids are always so excited to play in the snow. We don’t get a ton of snow in St. Louis but if you do or if you’re lucky enough to head to the mountains, making sure you’re dressed appropriately is SUPER important! We trust Columbia to keep warm and dry. My daughter would love the flowered garmin vivo fit jr and my son would be obsessed with the dinosaurs! They are so cute! I really like your green BOB! We would love to win the wilderness green bob and my son would love the broken lava print garmin! I’d love a Green BOB!! Jackson would love the bright green band. How did I not know that Garmin made the junior?! Wilderness green for the Bob – let’s be real you could give me a rainbow colored bob and I would be estactic! Oops. I copied the link instead of my name “Stephanie Abdon” on the youtube entry! and red again for the stroller…my partner and I thought we were done with kids (my youngest is 7, his 27) but we got a little surprise. we gave up all our gear years ago, so we would love to win this stroller! I’d LOVE the black orange BOB! My little is too small (4 months) to wear the Garmin so maybe I’d wear the pink/white/aqua one! We’d love to get the BOB out for a run as soon as she is 6 months old!! Oh the green BOB is awesome as is the Broken Lava vivofit. My kids would dig that. What an awesome giveaway! 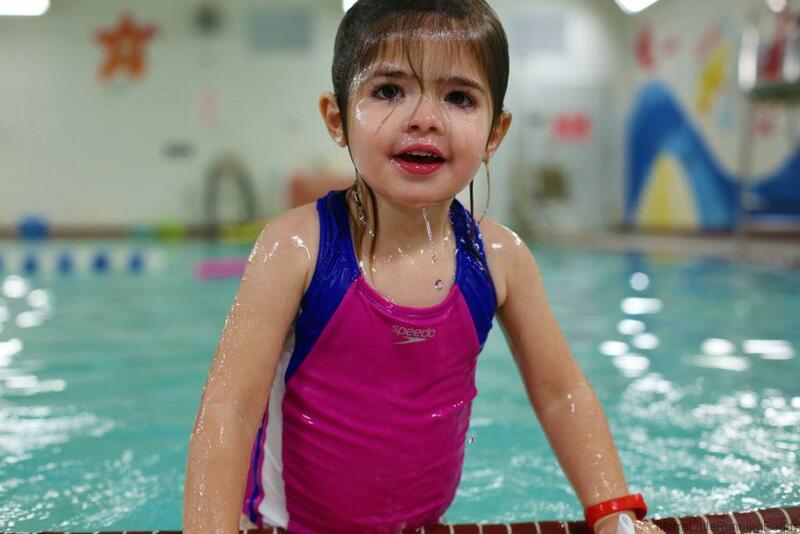 My daughter would love the Real Flower Vivofit Jr. She would love matching my Vivoactive! My son would LOVE a dino Vivofit Jr.–he loves pushing the button on my vivosmart hr! I think he would also really love an orange BOB! I love the Real Flower Garmin and the Lagoon BOB! I could see me and my baby (due June 2017) flying down the trail in style!! I would love the navy garmin and the canyon BOB, love them both!! Any BOB is a great BOB!!! But if I had a choice, probably the green. And the Lava Vivofit is cute! Real Flower for the Garmin Vivofit Jr & Orange BOB! Love bright colors! Kristina Murphy recently posted…(No) Excuses. 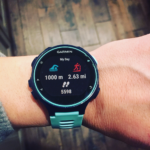 I’d love to get the Broken Lava Garmin Vivofit jr for my little guy and the Lagoon/Black revolution pro! This is so great! Dinosaur Garmin to go with a bright green BOB! My daughter is would love the real flower Vivofit. Such fun patterns! We would love the orange Bob! It’ll be great to be visible during dusk. 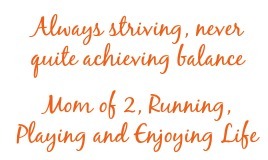 I’ve been trying to decide which jogging stroller to get, so really appreciate the breakdown of the Bob. I think I’d go with black/black and for the Garmin Jr (which we are SOOOOOO far away from using) would probably be Broken Lava. We would love a black Bob and any garmin!! I just had a baby 8 weeks ago and I’m just getting back into running. This would be perfect! Thank you for this opportunity! I have struggled with exercising outside in the cold OK weather so this article helps! Our local Y just added indoor swimming and I hope they will add an indoor track. 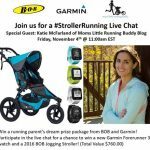 I am excited for the possibility of winning the stroller the most! After a few health issues, I am looking forward to getting back in shape and back to running again. I would love the Blue Lagoon/Black color in the stroller and my son would love the Digi Came color! Thank you again! Very cool! Thanks for the chance! I’d pick the Black/ Blck or Canyon/black combo for the stroller. I messed up On the entry for the YouTube subscription. I subscribed to your channel (Anel Winney) , but I accidentally left a link to your YouTube channel on the widget instead of my username . It won’t let me fix it, so I hope this helps! Thank you! I would pick the Red Lava watch for my son. As we wait for the arrival of baby #2, I think this would be a great big brother gift for him, and the stroller would make an excellent for me! Thanks for the chance! I’d love a green BOB and I’d get my daughter the flowered VivoFit! 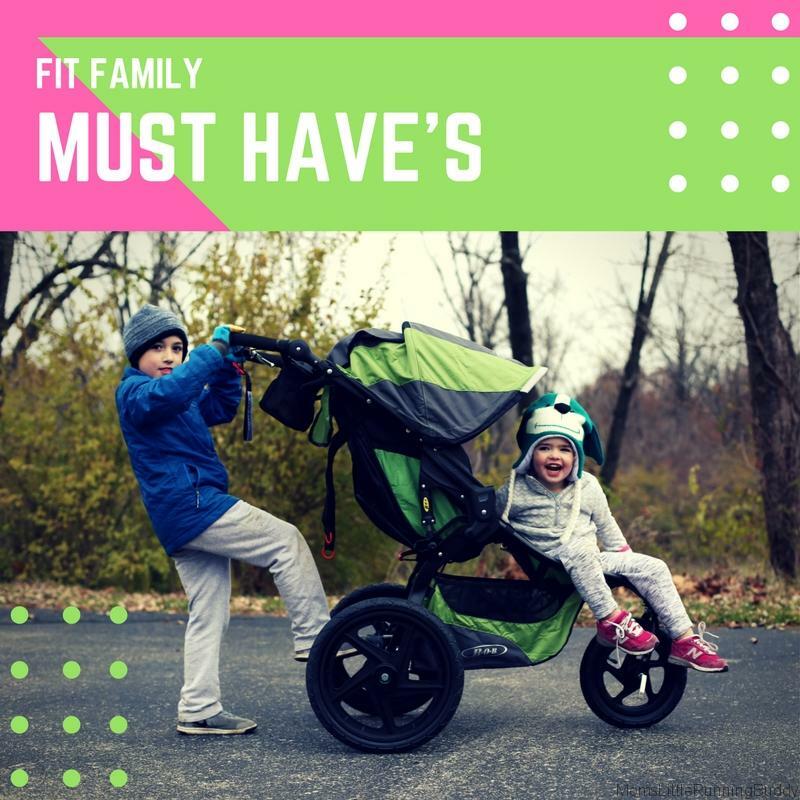 I would go with the sleek black BOB stroller and the bright Broken Lava Garmin. Nice gender neutral colours since I have a boy and a baby girl! I’d choose the Lagoon BOB and Broken Lava Vivofit Jr. Thanks for hosting this contest, Katie! If I was chosen as the winner I would choose the Broken Lava color of Garmin Vivofit jr. for my oldest son! I like the Black/Black color of BOB Revolution Pro Stroller. My wife’s contemplating running another marathon, this would allow her to get those extra miles in and be able to jump from the half marathon distance to the full. garmin jr?! how amazing I have a little boy and a little girl running buddy so color doesnt matter! They both participate in a mini miles program every year so this would be aweosme for them! A black bob would be great for my running buddies as well! My son would love Vivofit jr in the red Broken Lava pattern. He is six and loves racing with me at the playground.